Even if you already make your own natural hair shampoos and conditioners you may still be using artificial, chemical-laden styling products because you don't think you have any other choice. However, you can make perfectly good natural styling products that deliver all of the performance of those commercial products without the harsh chemical, artificial ingredients, and high price tag right in your own kitchen. You can also save your hair from hair product damage while you are at it. Do you have a style that you love but need extra holding power to hold it in place? Well, don't forgo your love of natural products just to get and keep that gorgeous look. 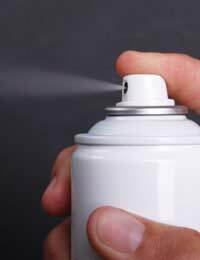 Make your own hair healthy natural hair spray. For this natural hold product you will need one lemon or one orange (the lemon will add shine while holding and the orange will help hydrate dry hair), rubbing alcohol, and regular tap water. Chop the fruit into quarters and boil in one and one half cups of tap water until the liquid is reduced to one half of its initial volume. Let the mixture cool then strain out the fruit and pulp. Pour the mixture into a clear, plastic spray bottle and add one ounce of rubbing alcohol to help preserve the hair spray. Shake before each use and spray onto your style for all natural holding power. Some styles require more than just a quick spritz of hair spray to keep them in shape. In these instances you will need a hair gel that moulds your locks into shape. To make an all-natural, super holding hair gel you will need one teaspoon of clear, unflavoured gelatine, regular tap water, and essential oils for customized scent. Simply boil one cup of water and add to that one-teaspoon of the gelatine. Stir until dissolved. Add two to four drops of your favourite essential oil, such as lavender, orange, rosemary, or lemon, and spoon the mixture into a small, re-sealable container. Keep the homemade hair gel in the refrigerator and use just like you would a commercial hair gel when preparing your hair for styling. If your style needs the holding power of a gel, but the more flexible styling of a hair spray you can make your own natural hair mousse. For this recipe you will need gelatine, tap water, jojoba or avocado oil. Dissolve ¼ teaspoon of the gelatine in one cup boiling water, stirring until the gelatine is dissolved. Add one tablespoon of jojoba oil and whip with a fork or hand mixer. Let the mixture set until it is room temperature. When you are ready to use it fluff the mousse with a fork and apply to hair as you would any commercial hair mousse. You can also add essential oils to this product for a customized scent. Once you begin making your own hair styling products you will love the results and the versatility that comes from experimenting and creating your own concoctions!